Fridges and freezers get dirty thanks to spills, leaks and general use. Over time a fridge can start to look grubby and even begin to smell rather unpleasant. While some bacteria don’t live in cooler temperatures many do. 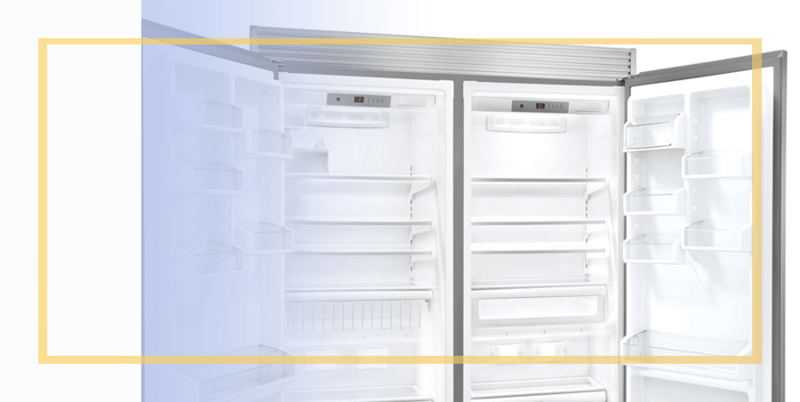 Nobody wants their fridge and freezer to become a breeding ground for bacteria. A regular clean is important in order to avoid all these things. At Specialist Oven Cleaners we provide a professional fridge cleaning London service that will leave a fridge looking and smelling clean and bacteria free. We all wipe our fridges inside and outside fairly regularly. However, that’s not enough. Regular deep cleans should take place in addition to surface or superficial cleans. This will safeguard health and improve the performance and extend the life of the fridge. The special equipment and eco-friendly products our fridge cleaners use leave a fridge clean, shiny and odour free. Sanitation is a very important aspect of these cleans so that all the surfaces are sanitised to destroy mould and bacteria. Before we start working, we cover the surrounding floor to protect it from spills and any water that may leak out of the fridge. This is especially important if there is a freezer section that will defrost and generate water. We also protect the food items in the fridge by removing them and keeping them cool while we carry out the cleaning. This ensures that food does not spoil or come into contact with cleaning agents. The products we use are food safe, however. Racks, shelves and vegetable drawers are all removed and cleaned separately. They are then dried and replaced where they were. To get in touch with our friendly customer support team, please dial 020 8629 5335 or click here to complete our contact form.